Way back in the day, I used to work for Fossil. I still love the company and would rock their apparel and accessories, alike, on the daily if I could afford it all....I digress. It was during my days at Fossil that I became a bit obsessed with watches. I have way too many ((that consequently need their batteries changed)) & I really think watches are the most underrated of accessories. I have a few watch faces that are missing their straps and so I decided to make some pretty bands for them. I have no idea where the watch face photographed came from, but it, too, needs a new battery. 1. Measure around your wrist to see how long you need your strap to be. Make sure you leave room for sean allowance, overlapping & snapping. I rhymed. Giggle. 2. Determine how wide you'd like your strap and double it plus half an inch or so for seam allowance. 3. Cut out your rectangle. 4. Fold it in half (long-ways) right sides of the fabric facing each other. 5. Sew around the 3 raw edges and leave an opening on the long side. 6. Flip right side out and press. 7. Top stitch around the edges. 8. Add your snap or velcro or whatever you decided to use. 9. 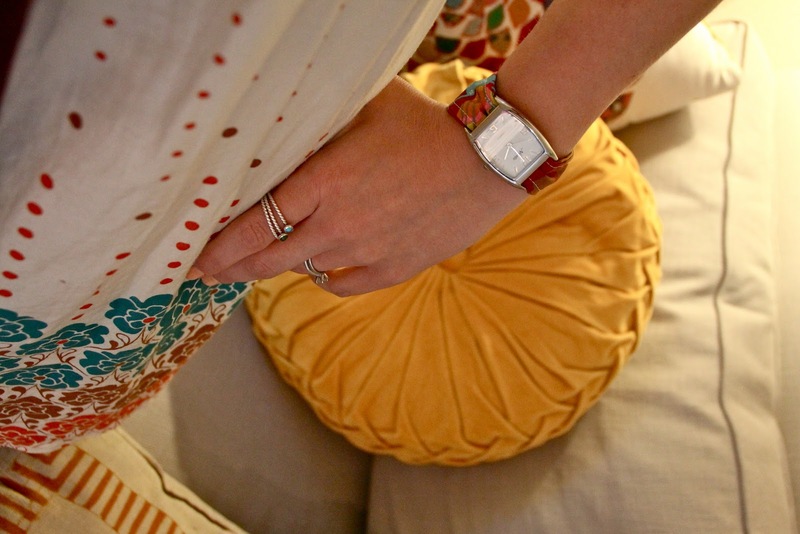 Insert fabric through your watch face and voila! I was playing around and made a woven five strand braided band as well. I added crochet lace trim to another. You could find vintage watch faces at a thrift store or even just an old watch and take the band off. It's just so fun & the possibilities are endless! That's such a cool idea - then you can create different watch straps for different outfits - awesome! SO cute! my fav is the one on the far left. I love this idea!! I too have far too many watches, and they all need new batteries. I have one that was my Grandmothers, and the band can't be shorted, but the face is so delicate and beautiful. 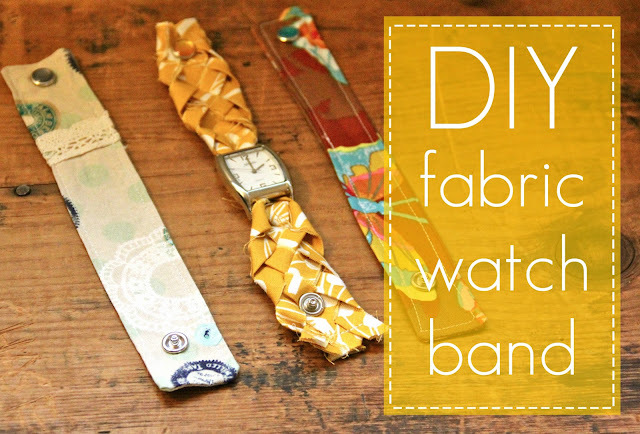 I might just have to make a fabric band, and I will finally be able to wear it. What a great way to use up some small pieces of fabric too! very cute! i love the braided one! seriously, i feel like you are always one step ahead of me! 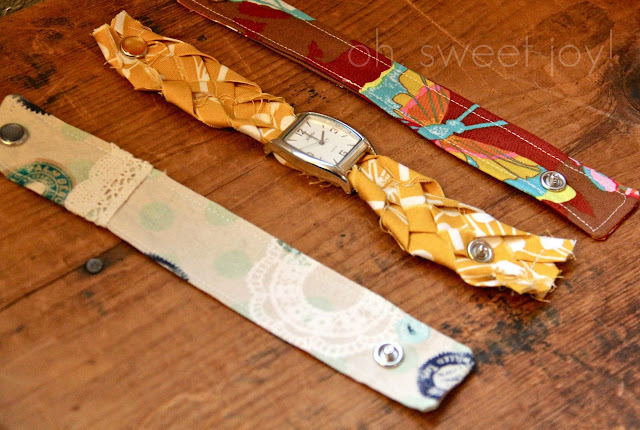 :) i've been dreaming about fabric watch bands for months and just haven't had time to take them for a test drive. yours look so amazing! good job! Such a cute idea, I will have to do this with some watch faces I have that are sitting around. Thanks for the idea. that is a great idea! esp for someone like me w/ bony skinny wrists... perfectly sized! How clever–I used to love to getting new bands for my favorite watch! Of course, I haven't worn one in years–I should change that! Kim - these are amazing! 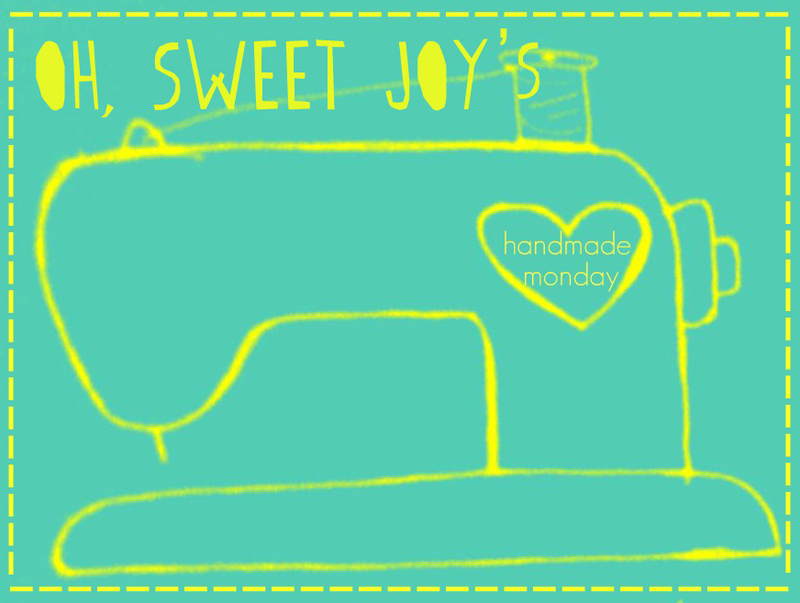 In fact, today is my day off & I have been planning on tackling quiet a few sewing projects & I am going to add this one to the list!!! I found you from Maiedae & I am so glad I did. You are amazing! where in Colorado are you these days??! check the linkThis is really pretty cool place I like it because it has everything I want more on this blog soon. Hi buddy! This post is written quite better! Reading throughout this post reminds me of my best friend! I would forward this post to him. It’s impressive one and entertaining blog, nice stuff thanks for the admin of the site.